Hey, lovelies! If you’re like me, you’re always looking for the next big app or social media spot! I love using great apps as a blogger that help promote my blog. I also adore fun fashion and beauty apps that I can showcase my style on too! I ALSO love social media apps where I can interact with others, by being inspired by their own unique style and more! This is exactly why I’ve been using and LOVING the SelfieMark app for the last few years! It lets me do all of these things, PLUS it lets me add polls to get advice on what to wear or what color of lipstick to wear with that eyeshadow! You can poll other SelfieMark users for whatever advice you’re looking for! The voting is addictive too! You’ve been warned! This app isn’t just great for anyone who loves to interact with others, but it’s also great for bloggers and brands who are wanting to know more about their audience or help spread the word about their amazing products or site! SelfieMark makes it super easy too with a CREATE A POLL plugin for your website you can use, and users who make a poll will show under your account in the app! Here’s a poll I just created asking my fellow SelfieMark’s which top I should wear with my distressed jeans? You see how this app could totally come in handy while shopping, right?! Hmm… which one to buy? I think I’ll let my SelfieMark friends help me out on this one! SelfieMark also has in-house fashion stylists (like me!) If you’re wanting a pro’s opinion on what top goes best with that cute striped maxi skirt! SelfieMark is super fun to use, helpful, and completely addictive too! I know you’re going to love it! 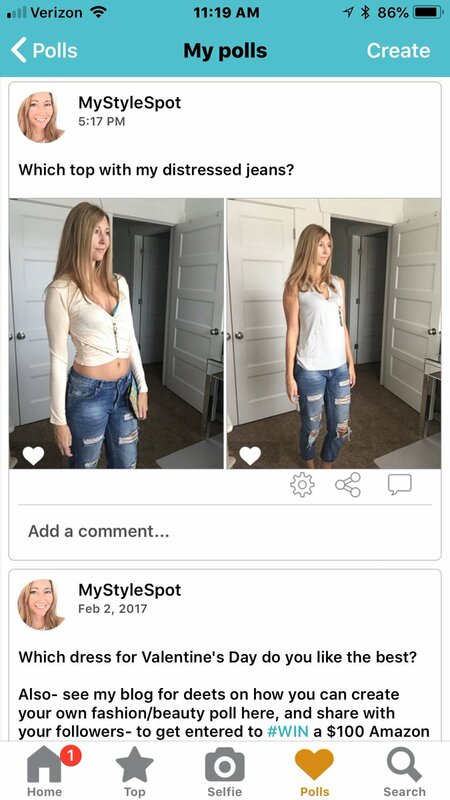 Visit SelfieMark.com to download the app today! 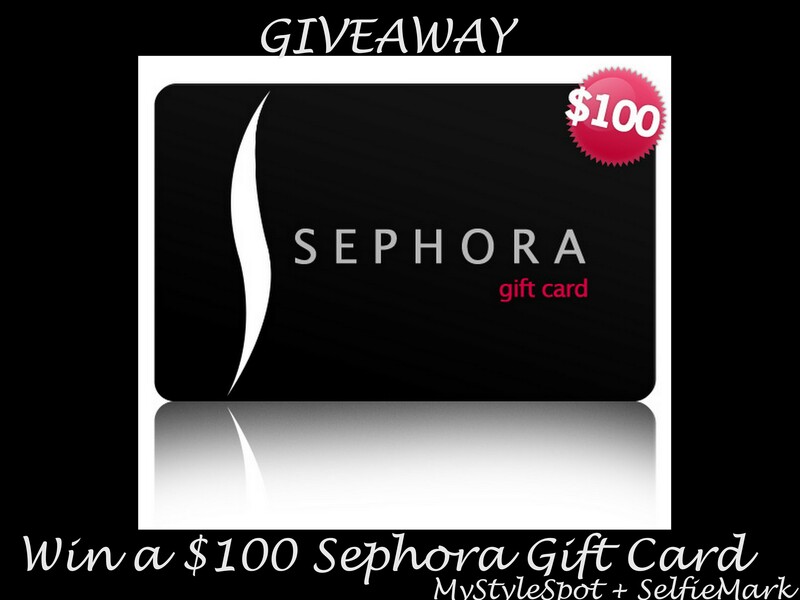 ENTER TO WIN a $100 Gift Card to Shop Sephora in the Rafflecopter form below! Are you in SelfieMark? Vote on what’s dope or drag and get feedback! Vote my polls and follow me in SelfieMark – FREE download in IOS or Android. Learn more about SelfieMark Rewards HERE. 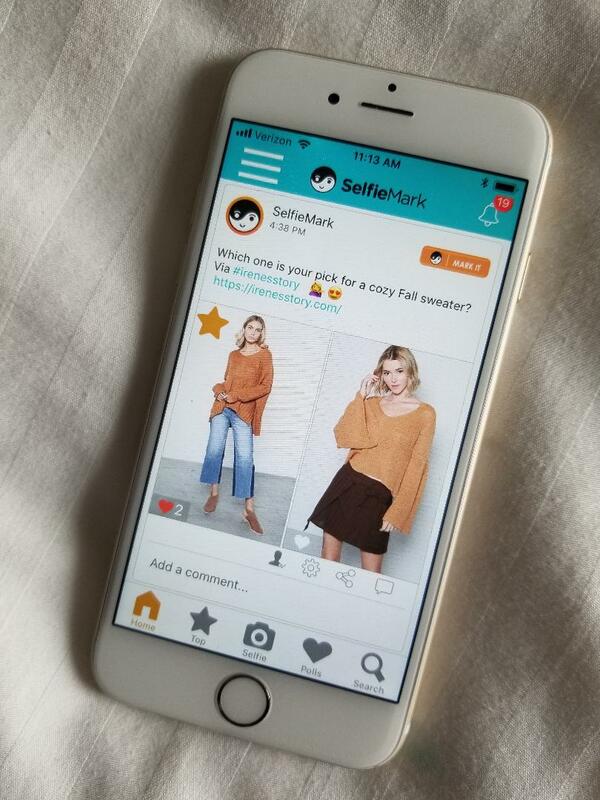 Also, are you a brand wondering how SelfieMark can help you grow your sales? Contact me at contact@mystylespot.net to learn more! *MyStyleSpot not responsible for prize fulfillment!